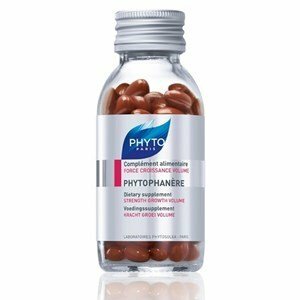 Phytophanere is a daily food supplement that provides the necessary elements to the beauty and quality of nails and hair. Allows you to enhance any design treatment strengthen nails and provide health and beauty to hair and skin brightness. When there is an imbalance or lack of food. 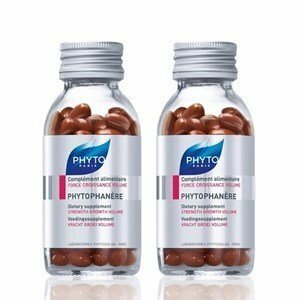 Phytophanere: Strength and vitality to hair and nails strong. -Vitamin E (a-Tocopherol), wheat germ oil is a natural source of a-Tocopherol, the anti-oxidant of polyunsaturated fatty acids. -Polyunsaturated fatty acids, Borage Oil door gamma-linoleic acid, an essential fatty acid present in a healthy diet; fish oil door Docosahexaenoic and Eicosapentaenoic Acid, precursors of prostaglandins. -Vitamins and zinc, vitamin B2 contributed to a normal yield of energy metabolism; Vitamin B6 contributed to the synthesis of cysteine, keratin constituent; Vitamin B7 (or biotin), vitamin C and zinc, allow you to maintain a good quality of nails and hair. Weakened Nails: 2 capsules every morning for about 2 months. Hair and eyelashes weakened: take 2 capsules every morning for about 4 months. Great complement PHYTOCIANE lines and PHYTOLIUM 4. Note: It contains Fish Oil, Wheat and Gluten.